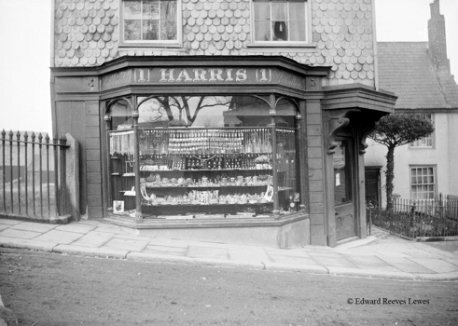 In 1819 Harris Jewellers was founded at 1 Cliffe High Street, Lewes. Mr Kenward later joined the business and Harris & Kenward Jewellers & Silversmiths was formed. The photograph of the original shop at 1 Cliffe High Street was taken circa 1830. The Harris & Kenward jewellery business gained in reputation and by 1913 it boasted the largest and most prestigious stock of watches, jewellery and silver plate in the area. Their postal service for purchases was popular, even then, and records show a ‘Reliable Lever Watch in Nickel Case, short wind, stem set, good timekeeper’ was sent securely by registered post to its new owner. In 1919, following a move from London to Lewes, Wilfred Ernest Clark purchased Harris & Kenward Jewellers at 1 Cliffe High Street and put his name to the business. It was the very beginning of W.E. Clark. Wilfred married Jean, a beautiful millinery model and they had one son, John (known informally as Jack). Wilfred ran the business alone for many years. 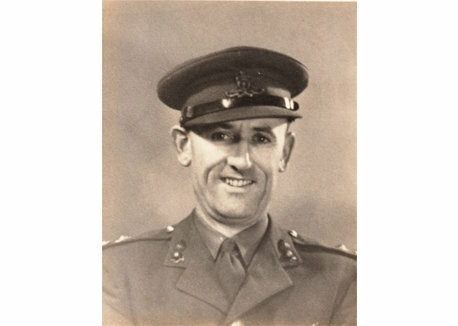 His son Jack joined him after returning from active service in the Second World War. With Jack on board, W.E. Clark & Son was established. 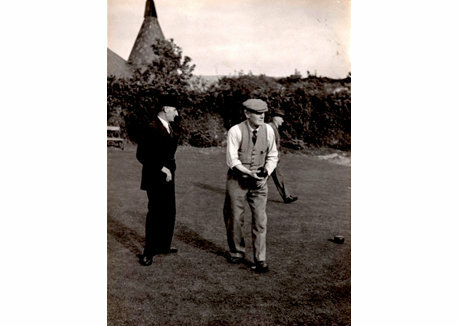 In the photograph you can see Wilfred Ernest (on the right) enjoying a game of bowls at Lewes Bowling Club. Jack worked alongside his father for a short time before taking over the business in 1947. Jack Clark had served in Pesaro in Italy during World War II and it was where he met his future wife, Bruna. After the war Bruna came to England with Jack and they settled in Lewes. They had one child, John Clark. While Jack ran the Jewellery and Watch business, Bruna became a well-respected teacher of Latin and Italian at Southover School in Lewes. There was never any doubt that John would take over running the family jewellery business, and at age 21 he did just that. 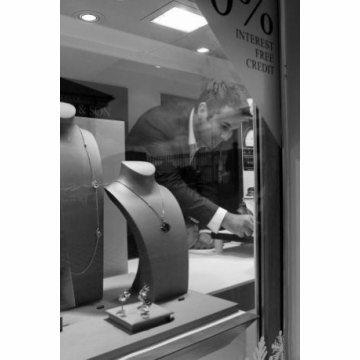 After training at George Farrer’s Jewellers in Tunbridge Wells and the Jewellers and Silversmiths in Guildford, John took over sole responsibility of running the W.E. Clark & Son business. In 1974 John married Madeleine. They had three children, Simon, Caroline and David. The photograph shows John proudly standing outside of the W.E Clark & Son shop at 1 Cliffe High Street, Lewes. In 1979 John Clark saw the opportunity to expand the W.E. Clark & Son business. John purchased the premises at 224 High Street, just opposite 1 Cliffe High Street. It meant the business could offer more stock in two locations and gained a presence on both the East and West bank of the River Ouse, either side of the historic Cliffe bridge. On 12th October 2000, the High Street in Lewes was flooded. It was Lewes’s worst flood in over 200 years. Several feet of water spilled from the River Ouse and swept into both of the W.E. Clark shops, causing serious damage. You can see from the picture the level of devastation caused to our showroom at 224 High Street. The day after the flood, David Clark took the decision to join his father in the family business. This was a seriously challenging time for the W.E. Clark business. But in true W.E. Clark style, the family set about making the best of a bad situation. Following the Great Flood, W.E. Clark had the benefit of both third and fourth generation hands in the business. 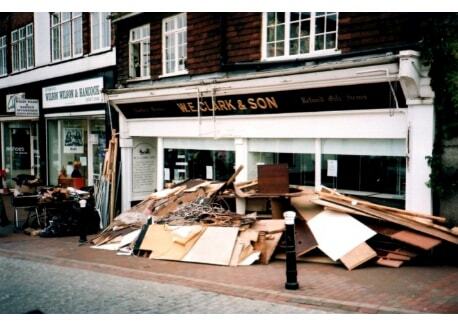 The flood was a low-point for many businesses in Lewes, but the Clark’s are renowned for their enterprising nature and saw the opportunity to completely rebrand their business and take it to the next level. 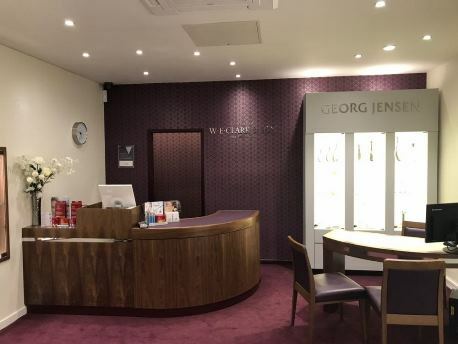 The jewellery website – www.weclarkandson.co.uk – launched in 2000, and became more important in the rebranding. John decided to reposition Clark’s in the marketplace. Working together, John and David set about regenerating the company. 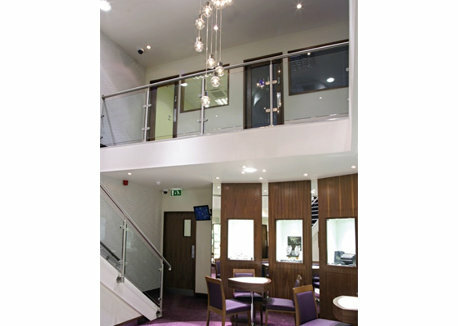 Both premises were redesigned, repaired and refitted. New Jewellery and watch brands were included in their collections and they set about advertising the new Clark brand. Events were organised to share the new Clark experience with the public. Hard work and determination paid off and W.E. 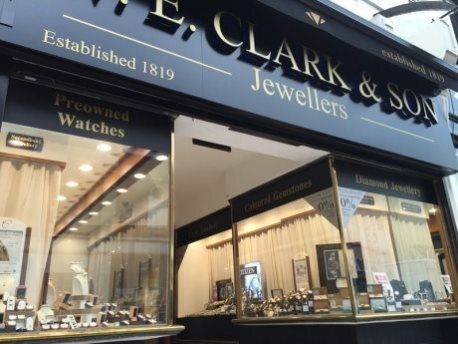 Clark established itself as the leading jeweller in Sussex. In 2005 W.E. Clark were keen to establish their brand across the county. They acquired a second showroom in Eastbourne, buying up Charlwood’s Jewellers. 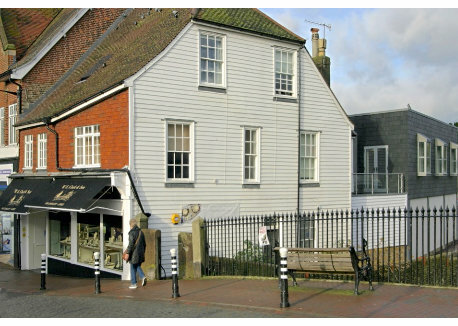 Established in 1883, Charlwood was Eastbourne’s oldest jeweller. It was here at the Eastbourne showroom that the prestigious W.E. Clark watch repair and restoration service was established. After some deliberation, it was decided that 224 High Street should be redeveloped and extended to become the sole representation of W.E. Clark in Lewes, so sadly we said goodbye to the smaller premises at 1 Cliffe High Street where W.E. Clark began. At this time, we also decided to refurbish the Eastbourne premises. Our Lewes showroom was given a facelift and an extension, increasing the space over two floors. We also incorporated separate customer seating areas in both showrooms to provide comfortable spaces for customers to enjoy our meticulous service. Our aim – to enhance the Clark experience. With hospitality space we can now offer refreshments to our customers while they view our collections in the form of a range of teas, coffees, soft drinks, Champagne and Prosecco. In 2014 we launched our prestigious watch repair and restoration service. At this point we knew we wanted to offer an exceptional watch repair service, so it made sense to bring the repair service in-house. That’s why we acquired our very own Master Watchmaker. 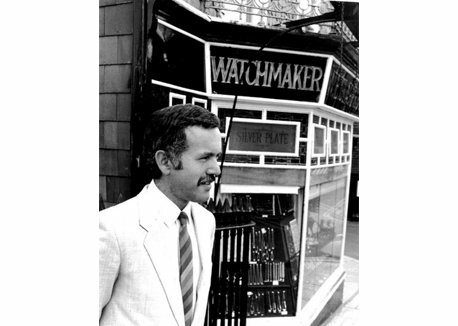 Our Master watchmaker is one of only 10 experts in the UK to hold the Master Watchmaker title. It means we can offer exceptional expertise in the repair of almost any watch, and in most cases we don’t have to send watches away for repair. Our Master Watchmaker can maintain any timepiece from antique pocket watches to the latest modern brand of wristwatch, such is his expertise. 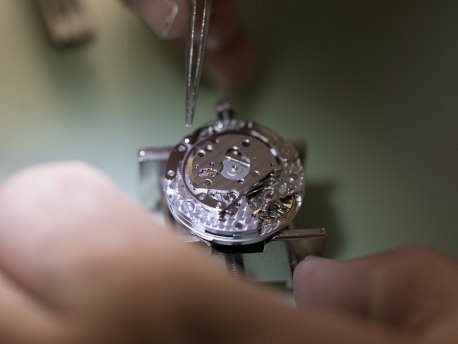 We are proud to offer an extremely specialist service in the restoration and repair of vintage timepieces. In 2017 we decided to reinforce our brand across Sussex and opened a new showroom in Uckfield. We feel incredibly lucky to have such a great team of professionals and we are delighted to be able to offer the Clark experience to customers in Uckfield, as well as in Eastbourne and at our flagship showroom in Lewes.